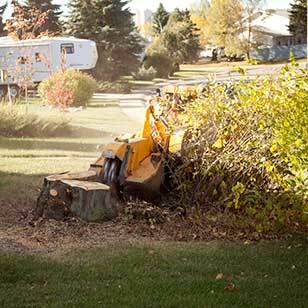 FAQ » Got Stump - Tree Services in the Edmonton, St. Albert, Sherwood Park, Beaumont, Devon, Leduc, Spruce Grove, and Stony Plain area. Stumped about something? Check out our FAQ. If the answer to your question isn’t there, please contact us. And yes, Got Stump quotes are free. Can I plant a tree in the same spot? Yes. 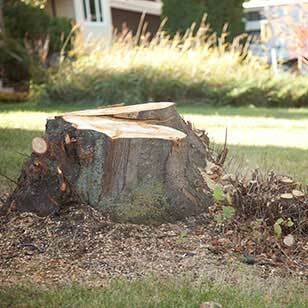 So long as the stump is not in an awkward location that limits a full removal, small (i.e. potted) trees can be replanted. 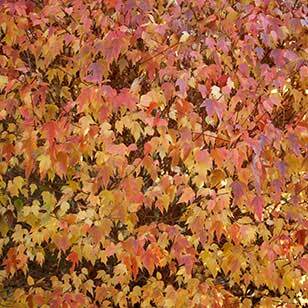 By special request we can also grind deep and wide enough for a basket (calliper) tree. No other company we know can do this. Do you take away the stump shavings? 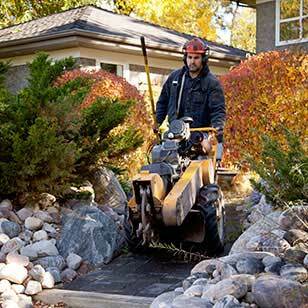 In order to give you the best price possible and most value for your money, we don’t take away ground material. 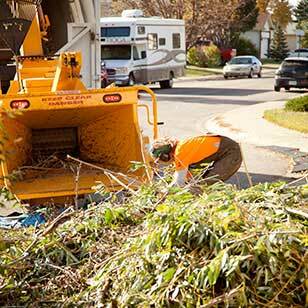 The shavings are fantastic to be recycled as compost material and so we recommend you use the material in shrub beds or gardens. 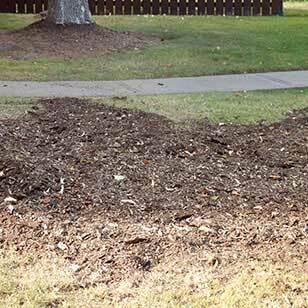 For lawn recovery, use 4 – 6 inches of soil to back-fill the hole. And don’t forget: make sure you pack the soil before replacing the grass! My stump is still quite a few inches / feet off the ground and my chainsaw is too small to go any further. Is this a problem? No. 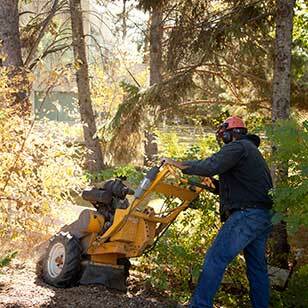 We carry a large chain saw with us for such situations. 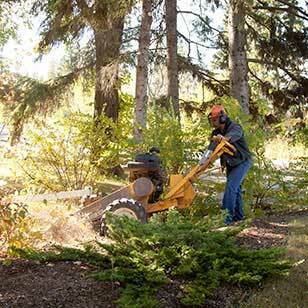 It makes quick work of tall stumps, usually at no extra cost. Do you rent out grinders? No. 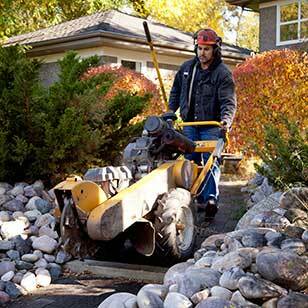 Operating a stump grinder with a 45-pound wheel spinning at over 1000 RPM takes a great deal of skill. 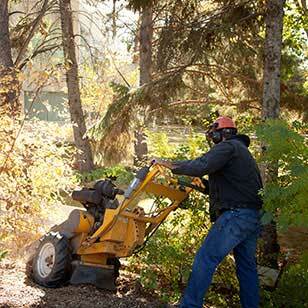 It can easily cause serious damage to property or persons. You don’t want to put a rock through a window or injure yourself or a passerby with flying rocks or other debris. Why can’t I simply rent a grinder from a hardware store? 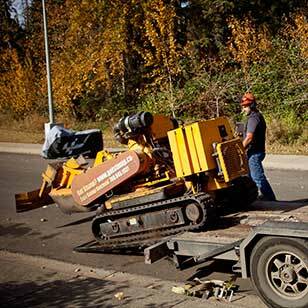 Rental grinders are meant for small stumps and can only grind a few inches. 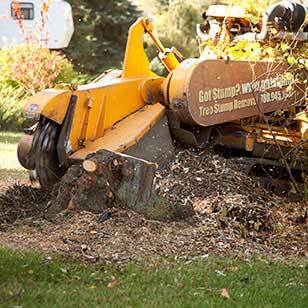 For the same price, Got Stump can grind 2 feet deep, removing any size stump. Then, assuming you have a vehicle up to the task (truck), there’s the hassle of picking up and returning the rental. You’ll also be responsible for dull or broken grinder teeth when you return it. 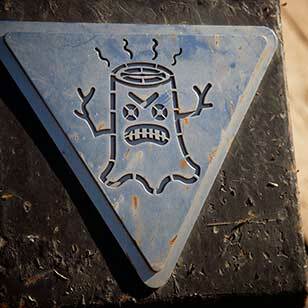 Most importantly, stump grinders can be dangerous if not operated properly. Can’t I just poison the stump and dig it out later? I’ve got a chainsaw to speed up the removal! You could, but why spend a weekend of back breaking labour to dig out a stump when you could spend it with friends and family. 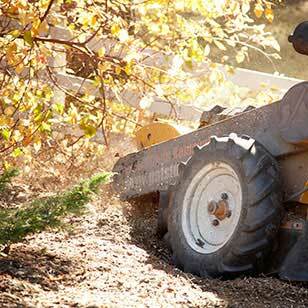 As for using a chain saw, any contact with soil will dull the cutting blade almost immediately. Equipment rental shops will tell you this, and they charge for dull blades! 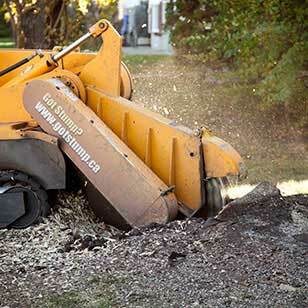 Stump grinding, by comparison to the value of someone’s time, is inexpensive and very affordable. We cut down the tree ourselves. 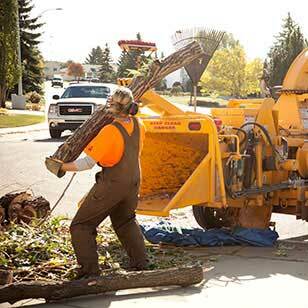 Do you have a chipper to process the brush? 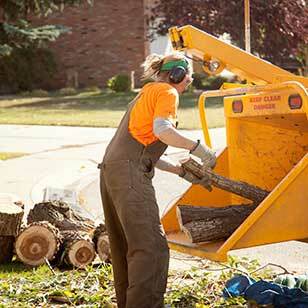 Yes, give us a call and we will arrange the appropriate tree services personnel and equipment. Absolutely. We have full coverage as well as WCB. 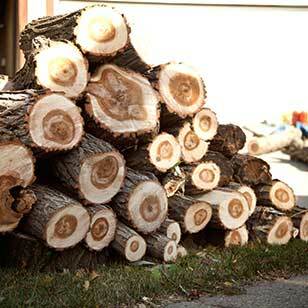 What makes Got Stump better than the next guy? Aren’t all grinding companies the same? Believe it or not, no. We regularly get called out to jobs other companies can’t or won’t finish. 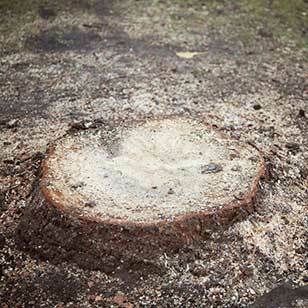 Most companies only perform cosmetic removals, grinding the stump down just enough to cover the stump with soil and grass. 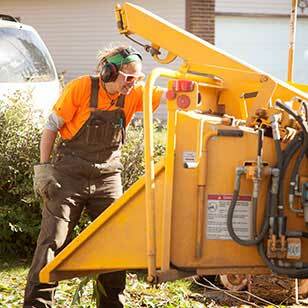 They don’t include surface root grinding either, or charge extra for it, leaving you with the choice of digging roots out yourself or getting a bigger bill than you expected. 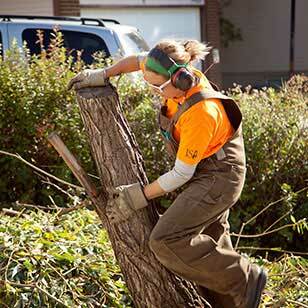 Got Stump does all the difficult work for you. We grind deep, assuming you may wish to replant in the future, and surface roots are rarely a problem for our top-of-the-line equipment. 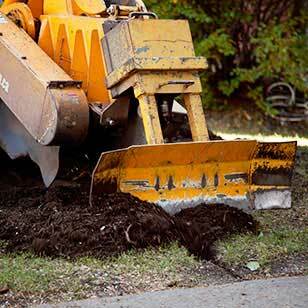 Unless the roots are very large and extensive, we don’t even charge for this service. It’s all part of our commitment to customer service. We always strive to do the job right the first time, but if you feel we have missed something, there is no charge for us to come back and make it right.